Born Dancing grew out of director Melissa van Wijk’s experience as both a professional dancer/choreographer and special educator. Following a pilot program in 2014 at a Special Education Public School in the Bronx, Born Dancing implemented its first full dance education programs in 2015 at PS153 and PS75X721 schools also in the Bronx. Julienne Rencher, Jamie Petrone, Meagan Kolakowski. Photo: Nicolle Bennett. 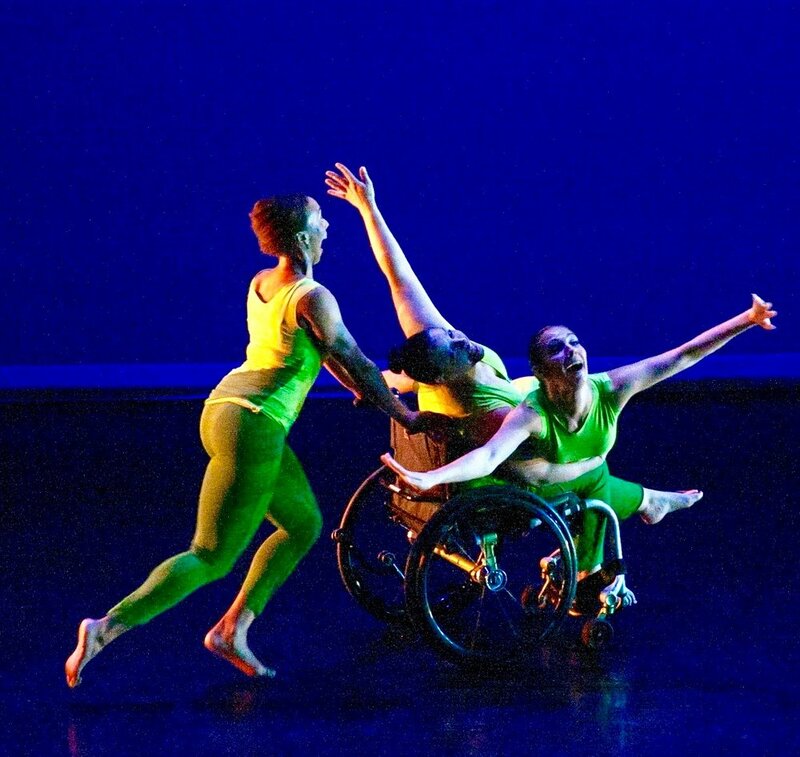 In 2016, Born Dancing brought together professional dancers, musicians, performers with disabilities, and Students with Disabilities for highly successful performances titled From Here To There, set to the music of Cat Stevens/Yusuf Islam at the Alvin Ailey Citigroup Theater. From Here To There featured live music under Music Direction by Scott Sharrard. Our School Partners were Elementary School PS153 and High School PS75X721. In the summer of 2016 Born Dancing created its first short-term internships for two High School students working on Costume Design for an independent film shot in New York. In February 2017 Born Dancing premiered Wasted Love, a modern dance multimedia (Not So) Fairytale set to music by singer/songwriter Misty Boyce at New York Live Arts Theater. Our elementary students (with and without disabilities) danced, while adolescents with intellectual disabilities and Down syndrome assisted with production backstage. Born Dancing hired an ASL Interpreter to interpret the lyrics of Misty’s songs and promoted this performance among the Deaf community. Also in 2017 we offered Dance Education programs at PS153 in the Bronx and PS98 in Manhattan for elementary school students with disabilities such as autism, fetal alcohol syndrome, intellectual disabilities and others as well as local students who are New Arrivals in the US. Our Dance Production Apprenticeship programs served teenagers with Down syndrome from Gigi's Playhouse. In January 2018 Born Dancing presented it’s third production at The Riverside Theater in Manhattan, including two new works, Grey and Sshhh. Grey was inspired, in part, by images and stories of refugees and featured photography by Magnus Wennman from the Where The Children Sleep exhibit. It also featured video of Syrian dancer Ahmad Joudeh who stayed behind in Syria to teach dance to orphaned children. Our students in this production were both US-born students from PS98 and New Arrivals working together. Eight adolescents with Down syndrome from apprenticed in design and production, some returning for their second apprenticeship with us.